Reviews of the Canon PowerShot D10 from around the web. The Canon PowerShot D10 is a very appealing "Go Anywhere" digicam. With the ability to capture pleasing images no matter what the conditions are, this is one versatile little camera. On top of that, the D10 offers blazing fast performance, so you can be confident that you are going to capture that shot when you press the shutter button. 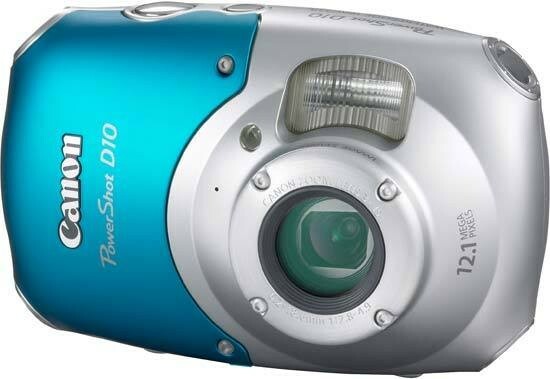 With a street price of about US$329, the PowerShot D10 is obviously more expensive than your typical 12-megapixel compact digicam. However, in this weatherproof category, the D10 is competitively priced, and rivals the performance and quality of many of its competitors.